Based on the solid foundation of the Scorpion, the Tomahawk was modified and launched as a pure racing vehicle. 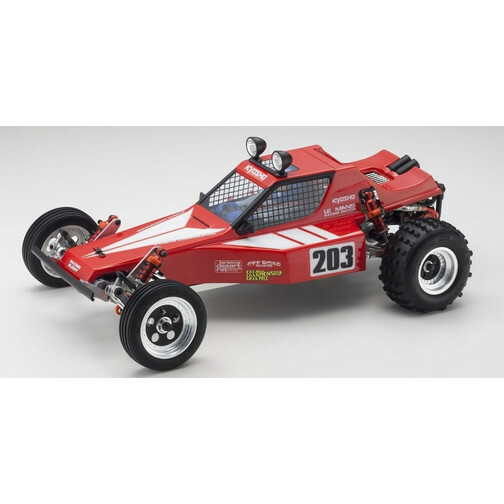 On its release, the Tomahawk swept challengers away from Japan and around the world to create a legend that is still remembered by many R/C racers today. In response to many requests from R/C fans, Kyosho is proud to add the Tomahawk as the 3rd Immortal model in the Vintage Series. Incorporating metal parts from the 2014 Scorpion such as the 6061T6 aluminum main frame chassis, forged suspension arms, 2-piece aluminum diecast gearbox with built-in diff gears, the Tomahawk will always be a pure racing machine with its characteristic Spartan double deck. The new Tomahawk is not simply a reproduction of the original machine. 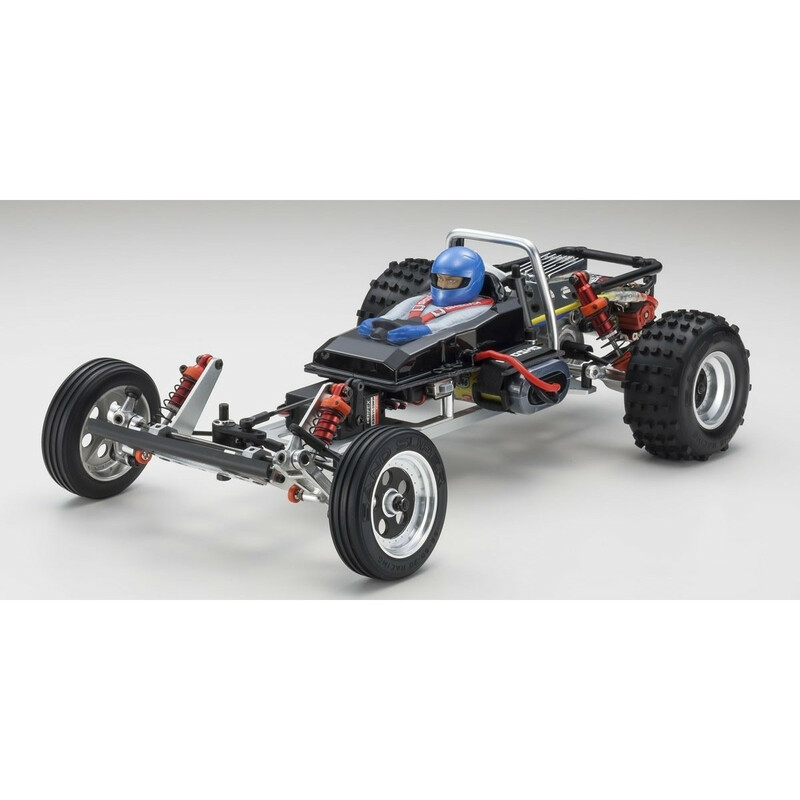 Each key component has updated with modern R/C racing technology and power source to product superior circuit performance. Many will appreciate its nostalgic style, but the elimination of radio box to reduce weight and side mounting of the battery for optimal weight distribution sharpens the edge of the Tomahawk for the pure enjoyment of true racing performance. Reproduction of Tomahawk that swept races throughout the 1980?s. Each part updated to 2015 specifications. Decals included create vivid color scheme. Side window mesh recreated with decals. New rear body stay provides secure mounting of body. Front/rear tires recreate the look of original but with optimized block pattern and high grip material. Slipper clutch included to protect drive system from rough treatment and can be adjusted to suit various surface conditions. Countersunk main frame and use of tapping screws realize flat surface and reduces number of nuts. Hex type screws on chassis (except on some parts) add security and work efficiency. Compatible with optional parts for Scorpion for customized chassis tuning. Blister packaging recreates the original image of the Tomahawk.